The Alpe di Siusi / Seiser Alpe is Europe’s largest high-altitude alpine meadow landscape and considered to be one of the most prominent natural wonders of the Dolomites. The lush flora is in full blossom between mid-June and mid-July, and includes many rare species. 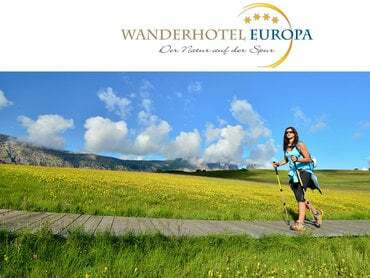 We would like to guide you on the most beautiful trails on Alpe di Siusi, Catinaccio and Val Gardena and show you the best spots. We know the secrets of medicine plants. 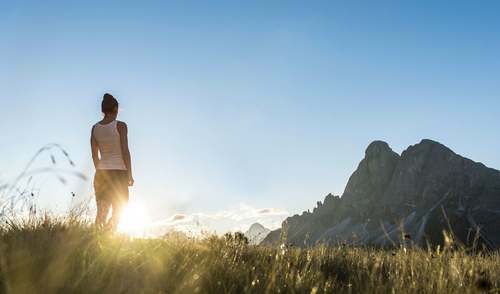 Come and try our Vitalpina_breathing hike for more energy and health. Alpine Beauty: special threatments and massages with powerful alpine herbs. Magnificent views over the Dolomites, the vastness of Europe’s largest high-mountain plateau, 300 days of sun: You can experience all of this on cycling tours around the Alpe di Siusi. The tour network of the cycling region of Gardena/Alpe di Siusi Gröden / Seiser Alm covers 1,000 kilometres of cycling routes at two different altitudes. 19 mountain bike tours offer variety to suit every taste: from technically demanding climbs and hair-raising descents through to easy rides of around 200-300 m. If you’re looking for a challenge in the Dolomites, you can embark on cycling tours of up to 2,500m. 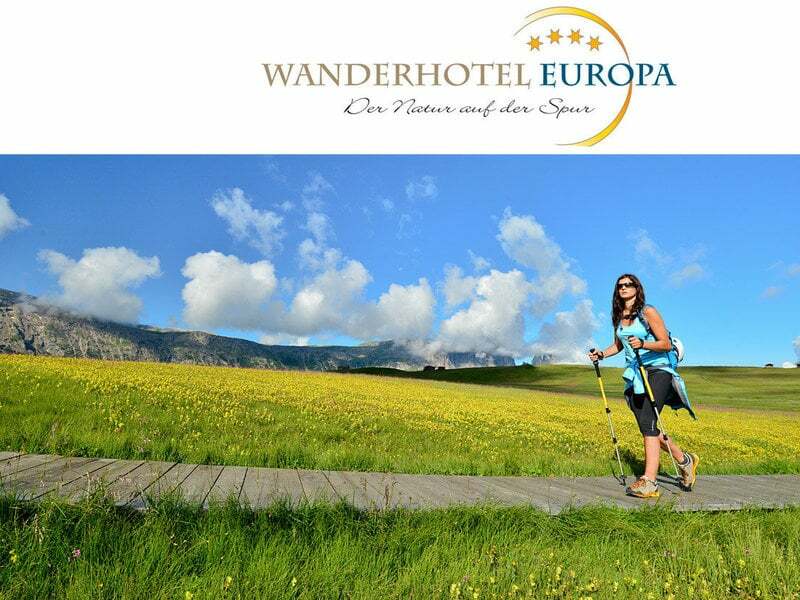 Short tours, day-long tours or tours of a few days guarantee variety – inclusive of the breathtaking views over the Dolomites with the Sciliar/Schlern, Sasso Lungo/Langkofel, and Sasso Piatto/Plattkofel. Free rental of mountain bikes for our hotel guests.